The Yogurt Craze is here. TART is BACK! If you are in the food service industry, you don’t miss out on your golden opportunity — the frozen yogurt segment is expanding across the country with a new twist on this old time favorite! 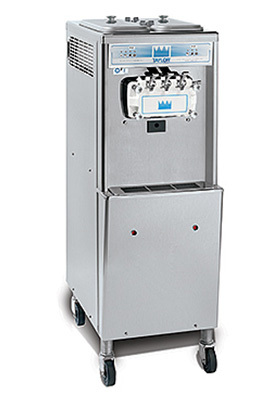 Taylor Freezer of Michigan, Inc. is proud to be your go-to distributor for innovative and reliable frozen yogurt equipment, allowing you to outfit your kitchen with everything you need to boost your profit margins. Don’t let this opportunity pass you by — discover how this delicious, versatile treat can help you expand your menu options and increase your profits by contacting our company today! The new face of frozen yogurt is tangier, more tart, and lighter than its predecessor from the market boom of the 1980s. Now topped with fresh fruits, candies, or cereals to compliment the time-honored tradition of syrup toppings like chocolate, caramel, and strawberry, frozen yogurt has developed an exotic attitude for decadent and extreme flavors like sour cherry, green tea, red mango, and more! 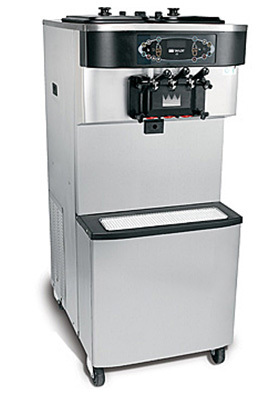 Why Do You Need Taylor Frozen Yogurt Equipment? Building on the strong success with Pinkberry® and Red Mango® chains along the east and west coast, Chicago recently welcomed the “all natural yogurt bar” concept with the successful introduction of Yogen Fruz® stores throughout the area. Live yogurt cultures, intense flavor, and exotic toppings have generated a lot of media buzz and numerous nutritional claims for the latest frozen yogurt trend. This unique frozen treat is crossing demographic lines between health-conscious consumers and flavor fanatics alike as a very healthy indulgence. For local store operators, the profitability of the frozen yogurt trend is also very promising, but your success will only be as dependable as your frozen yogurt equipment. Featuring compact designs, low operating costs, and premium price points that frozen yogurt equipment can provide, store owners across the nation can gain several distinct advantages in a challenging market. It’s a simple, yet powerful business model. For more information, contact your local Taylor Freezer of Michigan, Inc. distributor to learn more about our frozen yogurt equipment and make the most of this golden opportunity today!